To correlate with my library curriculum, Common Core Standards, and our Books to Africa project, my second graders have been researching facts about land mammals in South Africa. We used our library iPads, the database PebbleGo (I LOVE PebbleGo!!!) and the app ChatterPix (aka ChatterKid). 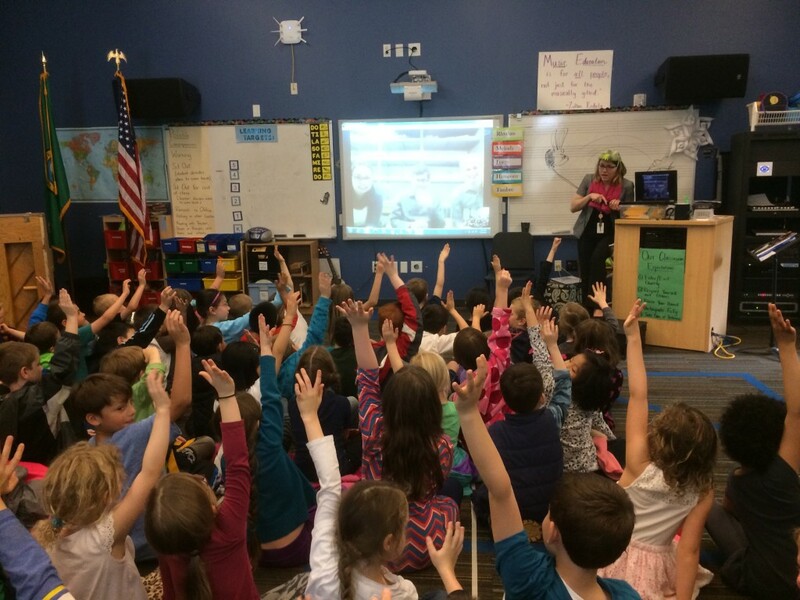 I am thrilled with the results because the kids were highly engaged through each stage of the process, including the end where they got to record their mini-report on ChatterPix. I documented the process in this Sway. If you are interested in making a Sway, check out this link. I love Sways because they are incredibly easy to make and embed in blogs without hassles. This is my first experience with using iPads in the classroom and as with any project it came with its own set of problems because of my learning curve. I really wish there was a way to transfer files with a USB. After working out how to get files from five different iPads to my iPad (thank you Dropbox), I found one BIG area for improvement next year. I have five second grade classes and the video management quickly became very complicated. Next year I will definitely limit each class to an indepth study of one animal. Lesson learned! Put the letters together and it looks like this! 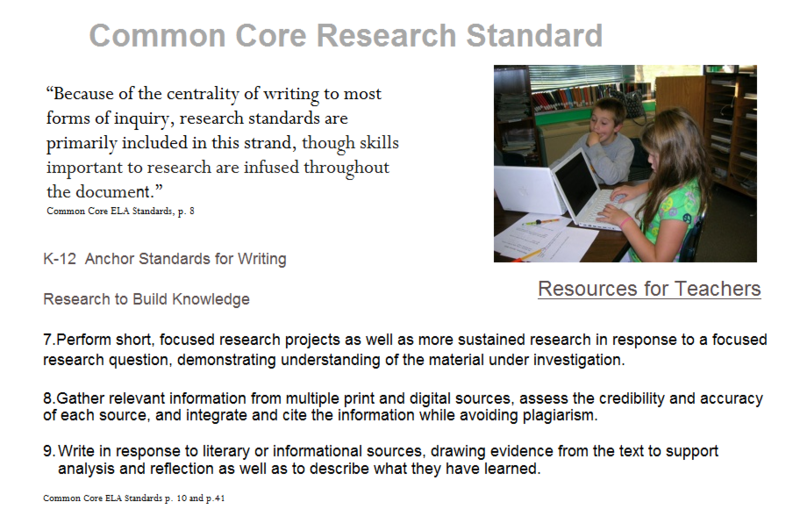 One of the important aspects of the new Common Core standards in writing is research. 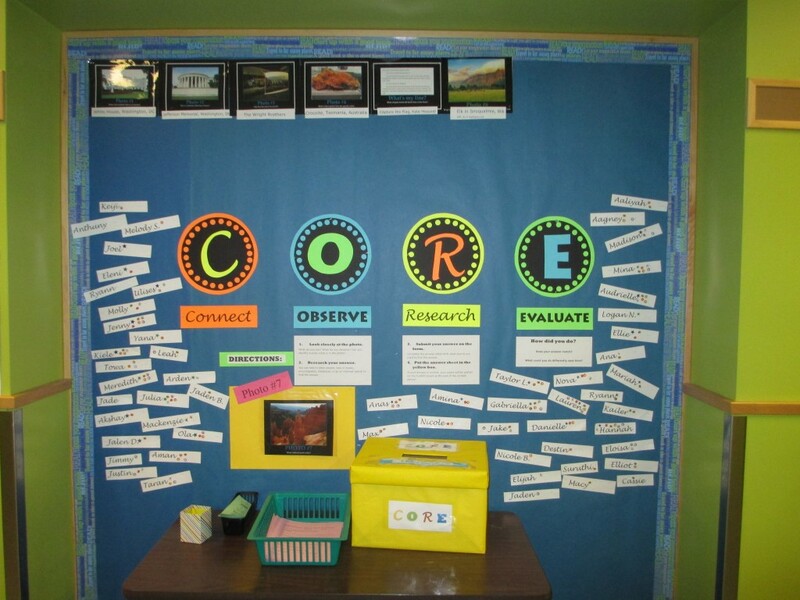 In the library, one way we are supporting this standard is through a fun weekly research game.Every Monday I display a new photograph on the bulletin board. 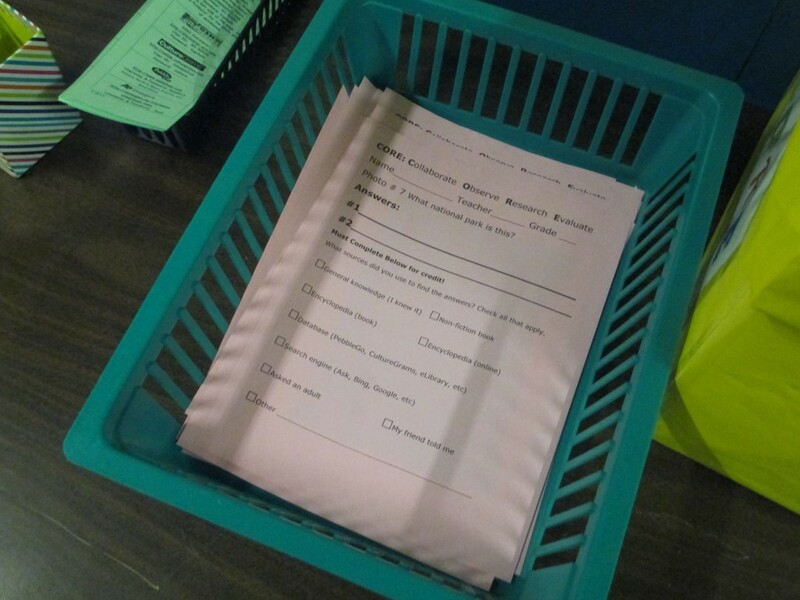 Students have until Friday to pick up a answer sheet, research the answer and return their paper to the CORE box. Students can talk to their friends or families, look it up on our databases, use books or encyclopedias, or search on the internet for the answer. Everyone who participates gets their name on the wall and stickers are added each week a person participates. The answer sheets are corrected. Everyone gets a fun sticker if they write down an answer. If it’s the right answer, I add a fun bookmark as well. All of the photos I have used so far have been pictures I have taken as I have traveled to different places both near and far. 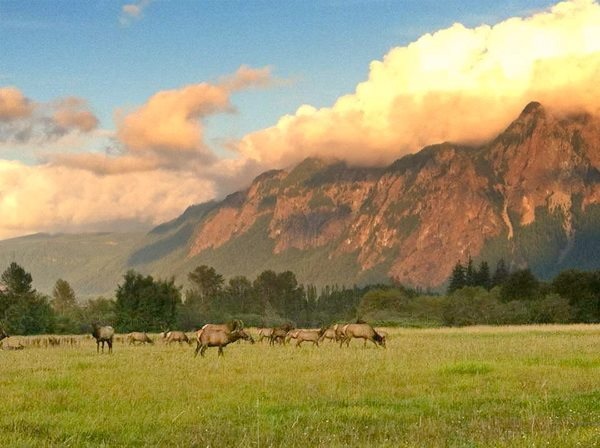 Last week, I had a photo of some Roosevelt elk grazing in North Bend, Washington with Mt. Si in the background. We had lots of entries, but only Mina had both of the correct answers. 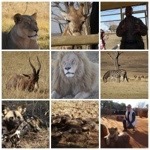 Apparently I have talked a lot about Africa because the most popular answer was gazelles grazing on the African plains! Anyone can participate and remember it is not cheating to talk with your family about the answer. 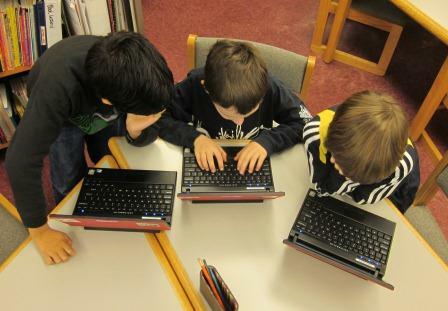 In fact, that’s a great idea because if use the internet, the adults can help you search safely. Who said research can’t be fun? What search engine or database do you like to use? What kind of photograph do you suggest I consider using in the future? Do you like mystery stories? If you do, then the Zoo Animal Mystery stories are just for you! 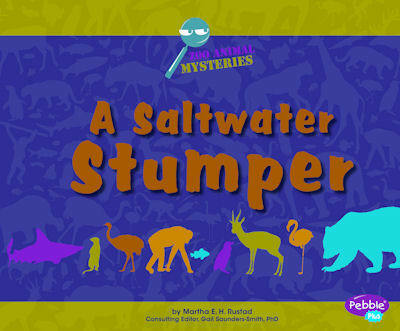 Each of the title in the Zoo Animal Mysteries series focuses on one animal. Through a series of clues, you have to guess what animal is featured in the book. The trick is to solve the mystery before the animal is revealed at the end. You can read more about the zoo animal mystery series on the Capstone Press website. Our 2nd and 3rd grade classes used those fun books as the structure for their own Zoo Animal Mystery stories. First we researched facts and took notes. Then we wrote out our sentences for the story. We typed the stories on powerpoint and added Creative Commons photos to illustrate the pages. 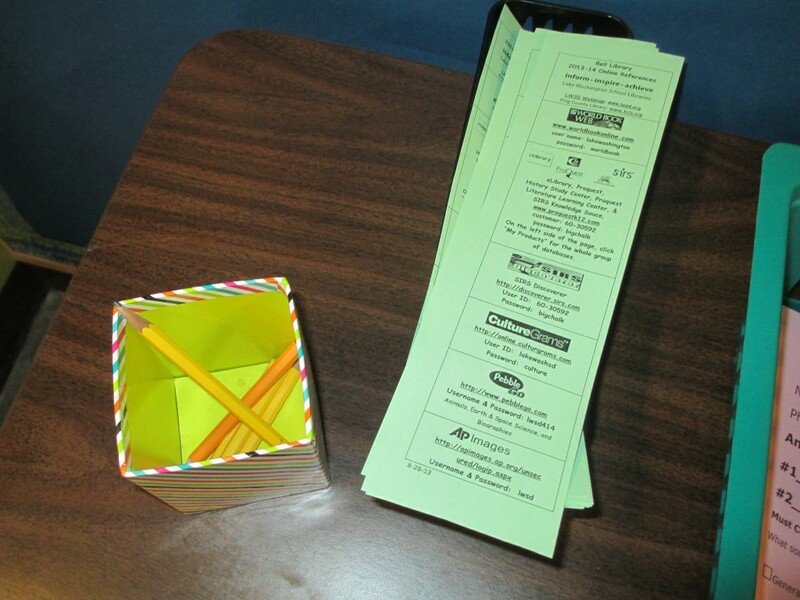 The projects from Mrs. Kassel-Day, Ms. Valenta and Mrs. Staples class are featured in this post. What animal was your favorite to learn about? If you could make a zoo animal mystery, what would you choose? Our 5th grade students have been learning about the research process in library through our Famous Artist biography Project. In their art class with Mrs. Lustgarten, they learned about a variety of artists. Then in library, they chose an artist as the focus for their research. 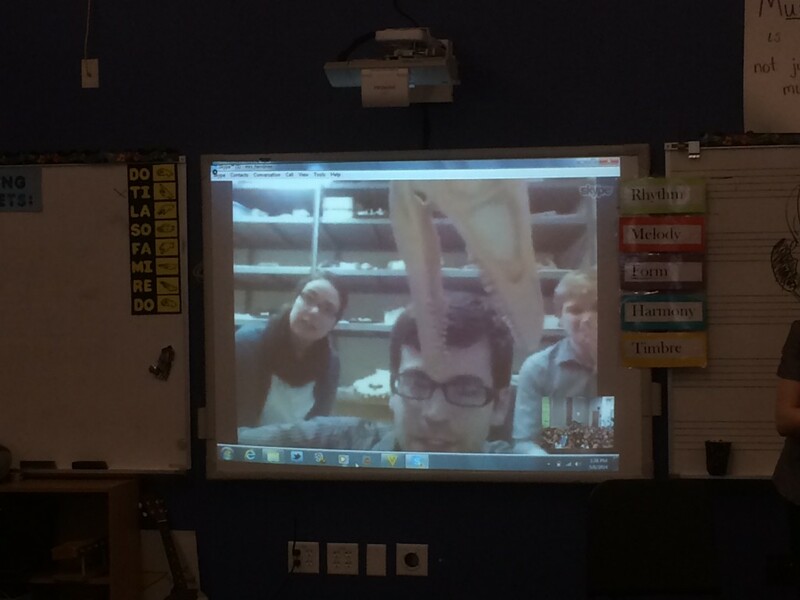 We got the idea for this project from Mr. Avery in Massachusetts. You can see some of his student videos here. What interesting event happened during the artist’s childhood? Did the person ever get married or have children? Where did the artist live for most of his or her life? What kind of art is the person known best for? What other interesting story happened during the artist’s adult life? What painting did the researcher like the most? While the 6th graders made interview videos acting like the artist, the 5th graders wrote biographies in the form of a comment to this post. Their assignment was to leave a comment as if they were their artist, including facts they learned from their research. 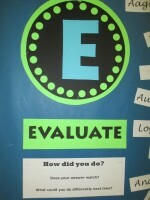 This idea is adapted from a biography project that Mrs. Yollis did with her class last year. You can read what her students wrote on this biography bonanza post. Our blogging buddies and friends are welcome to leave a comment as a famous artist as well! The object is to share some interesting facts, have a comment that is lively and interesting to read, use your own words, and write the comment in the voice of the artist! 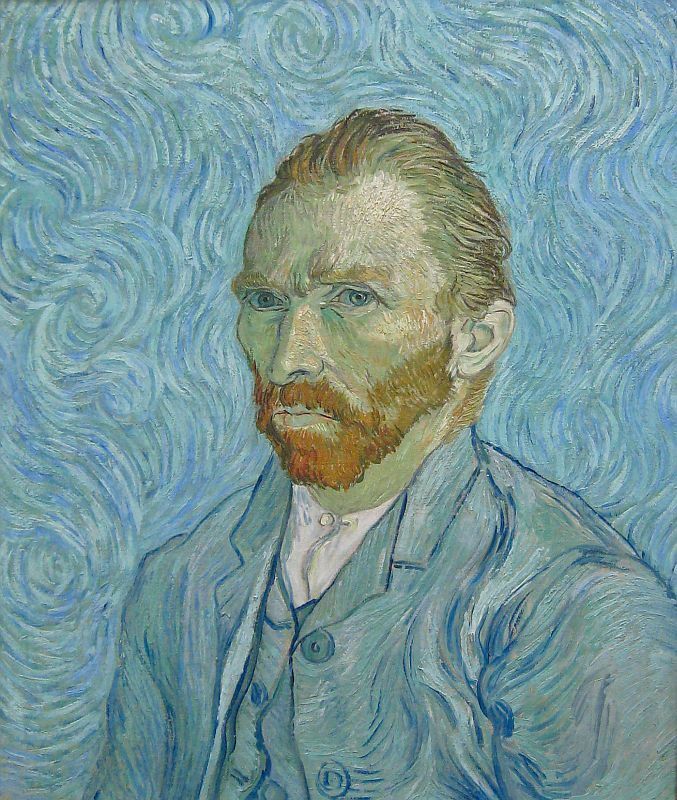 Vincent Van Gogh – what painting do you think of when you hear his name? Starry Night? The Sunflowers? The Yellow House paintings? Van Gogh is one of the world’s most famous artists. Between 1881 and 1890 he painted over 900 paintings, yet sold only one during his lifetime. Van Gogh’s works come to life during my favorite time of year when Mrs. Lustgarten and I team on some art related lessons. Learning about artists seems to bring the spring and summer warmth into the long, dark winter days of Seattle. 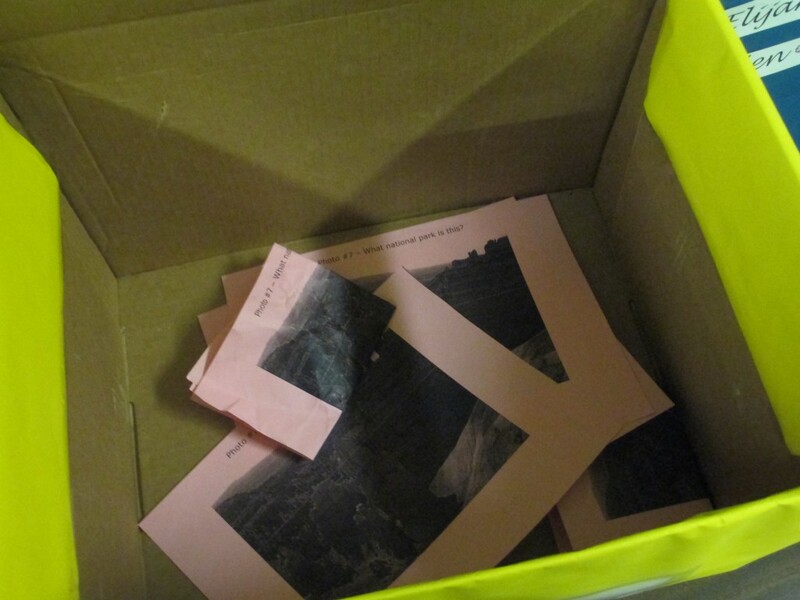 A few years ago, the Lake Washington Schools Foundation granted me funds to purchase art appreciation books for our library. Then a trip to France where I had the opportunity to visit the Louvre and the Orsay Museum in France and Claude Monet’s house in Giverney cemented my love for many of the great artists. 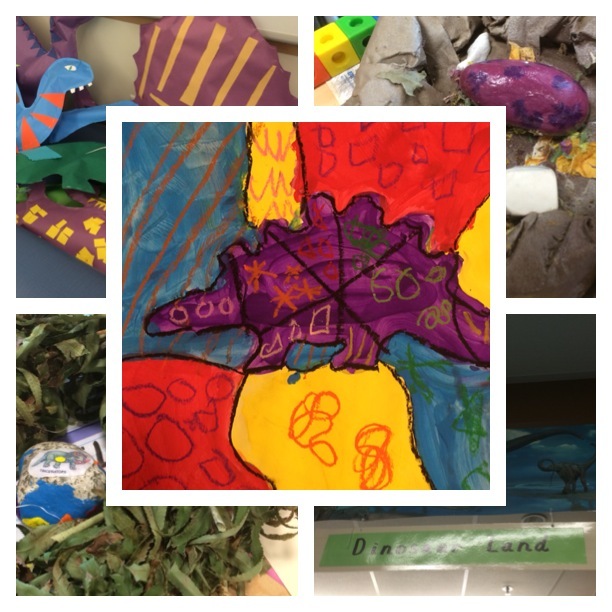 Ever since, our art leader, Mrs. Lustgarten and I have coordinated some lessons to link the library to art. We sit down together and brainstorm ideas of how our students can learn about famous artists along with using the tools within the library. 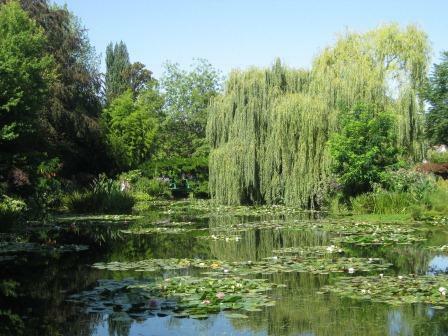 The water lily pond at Claude Monet's estate in Giverney, France.The water lily pond was the inspiration of the gigantic paintings by Monet. 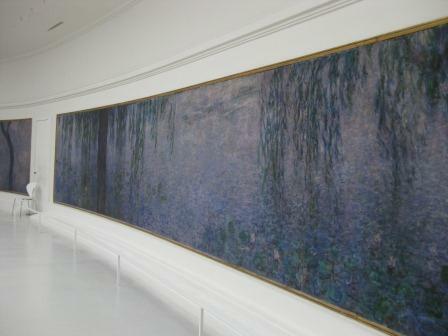 This is one of the gigantic water lily panels by Monet. They are on display in the specially designed Oval Room at the Orsay Museum in France. This year in addition to focusing on particular artists, we are bringing the art of the Caldecott winners to the forefront of some lessons. 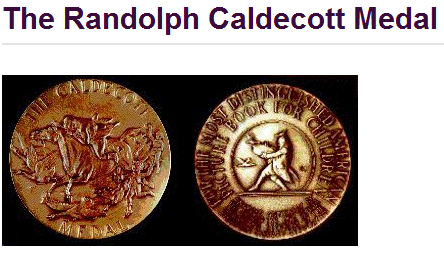 The Caldecott Medal and Honor awards are given to the illustrators of the most distinguished picture book for children of the year. The illustrators use a wide variety of art techniques and in our student lessons, Mrs.Lustgarten is having some classes imitate the medium of the illustrator. In our library classes, we are reading the newest winners and learning more about the award and the different medium artists have used through the years. Kindergarten has focused on some of the work of Vincent Van Gogh. In first grade, the students read Katie Meets the Impressionists, Katie’s Sunday Afternoon, and Degas and the Little Dancer, and watched a dvd about Claude Monet’s life as an artist. In art class, they created artwork using the pointilist style of George Seurat. Second and third grade is learning more about the Caldecott award, the work of author/illustrator Mo Willems and his “pigeon”, as well as Henri Matisse. 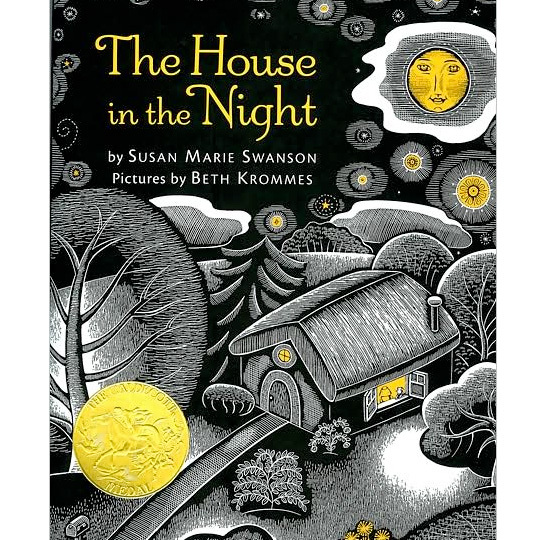 Fourth grade is focusing on scratchboard art, the style used in The House in the Night, the 2009 Caldecott Medal winner. 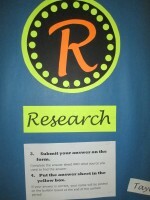 The fifth and sixth grade classes are involved with a long-term research project. They are learning the 5 steps of research in a biography project about a famous artist. 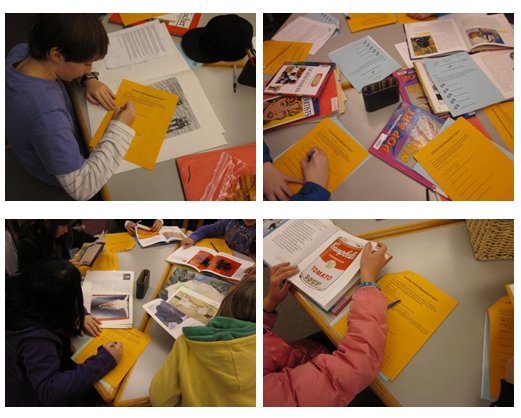 Using books and the internet, students must find the basic facts about their artist. 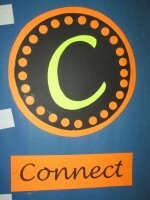 Then they will create a Wordle and Fakebook page about their person. The last step is to film a biography interview where they pretend to be the artist they have researched. The biography museum idea came from Mr. Avery in Massachusetts. You can see examples of the biography videos here. My goal was to have the students experience the research process before they begin their exiting Expert’s Projects for their classroom teachers. The culminating project for the 5th and 6th graders in art will be to create a pennant imitating the style of the artist they have researched. These pennants and videos will be available for viewing at the Art Walk in June. What famous artist have you learned about? 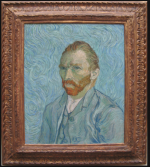 What was the name of the one painting Van Gogh sold during his lifetime? Have you ever been to an art museum before? Who would you choose to research if you could do a biography project? This week we have been having a lot of new visitors. We think it’s because we are in the voting round for Best Library Blog! The voting ends on Tuesday, December 13th at 9pm PST. You can vote everyday until then. Go here to vote. 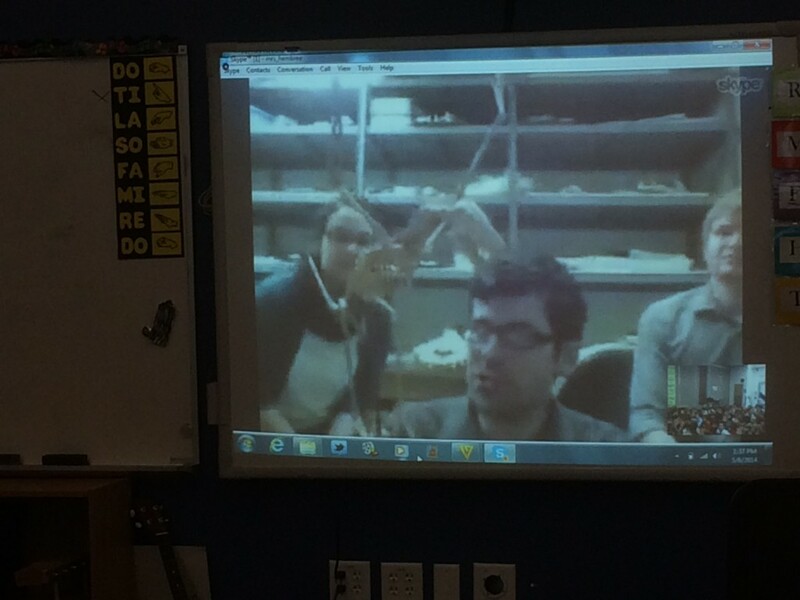 This morning when Mrs. Adair’s 3rd graders came to class, we looked at our flag widget and saw this. 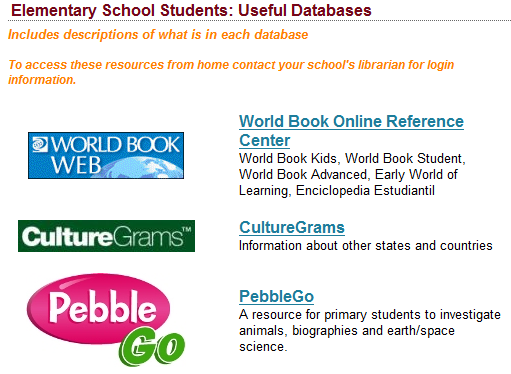 That question led us to our district databases to find out. Databases are like online filing cabinets. They have lots of great information for reports and research. We decided since we were looking for information about another country, Culture Grams was the best database to use for our research. Where in the world is Zambia? We knew it wasn’t in North America. One person said they didn’t think it was in South America either. 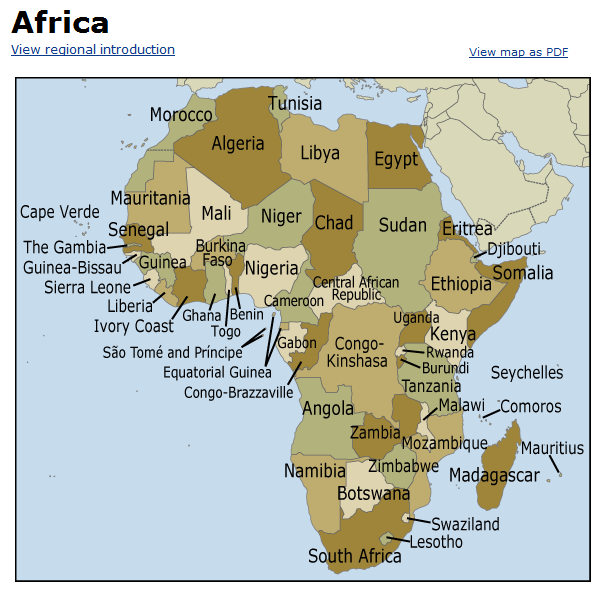 Someone guessed it might be in Africa, so we clicked on the continent Africa and this is what we found. Zambia was in Africa! Then we clicked on Zambia and then used our Netbooks to research and learn more about this country. The eagle on the flag stands for freedom. English is the official language, but most of the people speak tribal languages too. They have dry seasons and wet/rainy seasons. Victoria Falls is in Zambia. Zambia is ahead of us in time. When it is 4:00pm here, it is 2:00am the next day there! We decided that since Zambia is half-the-world-away from Seattle, Washington, it was amazing that they found our blog. We wonder how they did it! Chances are we will never know! If you are our Zambia visitor, thank you for visiting! 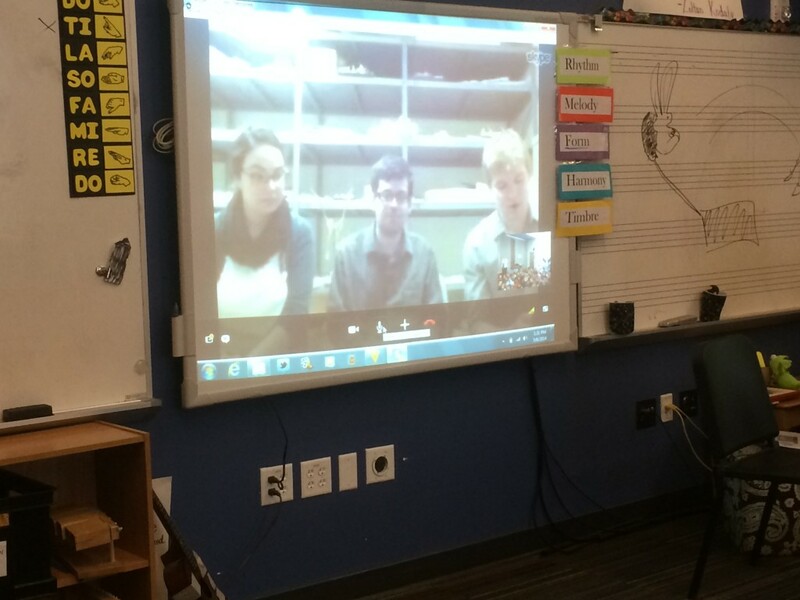 It was fun learning about your country and we would like to know so much more from you! Next time you visit, please leave us a comment! How do you think our visitors find our blog? 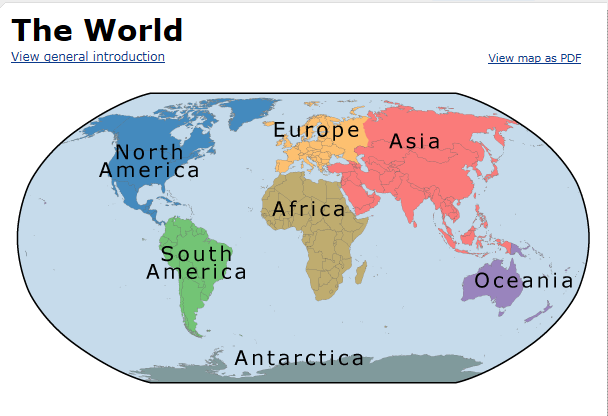 How would you find a blog in another country? Creative Commons Usage. Photo by Wally G.
The morning of September 11, 2001 started as a beautiful sunny day in New York City. By lunchtime, life as we knew it in America had changed completely. 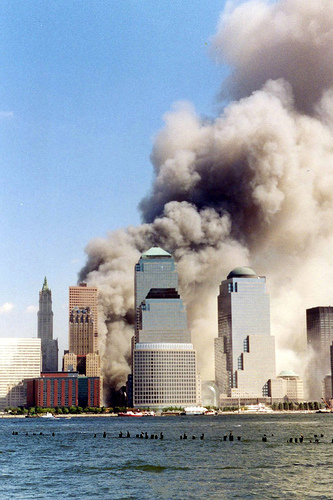 The attacks on the Twin Towers and the Pentagon, along with the crash of the 4th plane in Pennsylvania have since influenced adult lives in numerous ways. Now it’s ten years later, and the children we have in elementary school have no memory of the events on 9/11/2001. They either weren’t born, or were too young to remember the day. How do you talk to children who have no connection to this piece in American history? 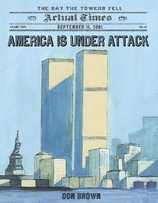 In the intermediate library classes, I decided our lessons would be about the events of 9/11. 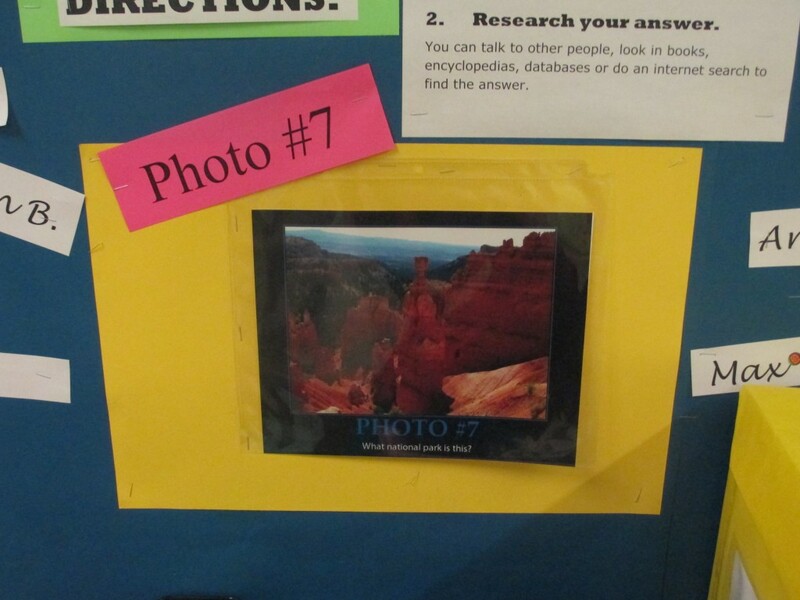 this approach would give the students would have some factual knowledge about 9/11. I think history is a lot less scary when it’s talked about openly and honestly. We started the 5th and 6th grade lessons with the basic question, what do you know about September 11, 2001? What question do you have about this day? After we collected these questions, the students heard the book, America Is Under Attack by Don Brown. When the book was over, the students then shared a thought, a word, a feeling or a sentence about a fact they had learned from hearing the book. Their ideas were written on anonymous Post-in notes and placed on the front board. “Sad, painful, angry, why?” were the typical responses. 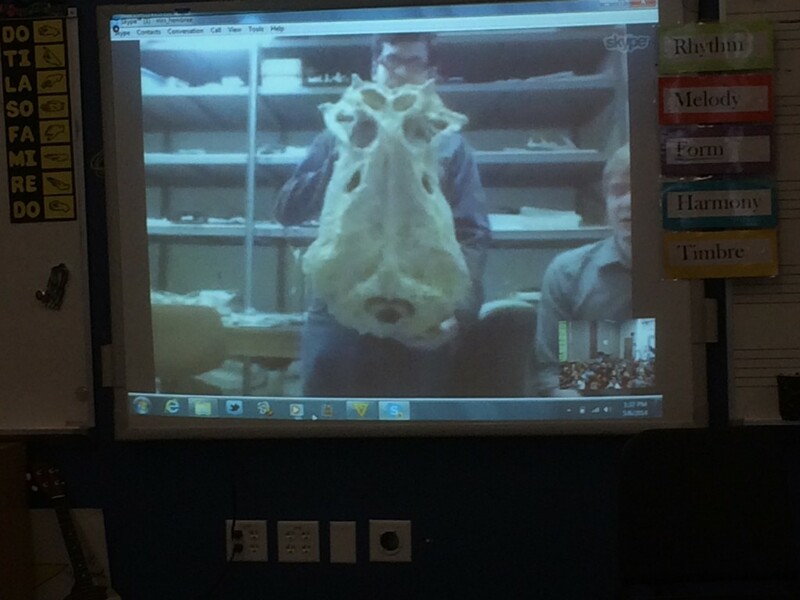 I am hopeful that the students walked away with some new information that answered their previous questions. In fourth grade, I introduced the event of 9/11 by showing some of the fact books and we talked briefly about the significance of September, 11, 2001. 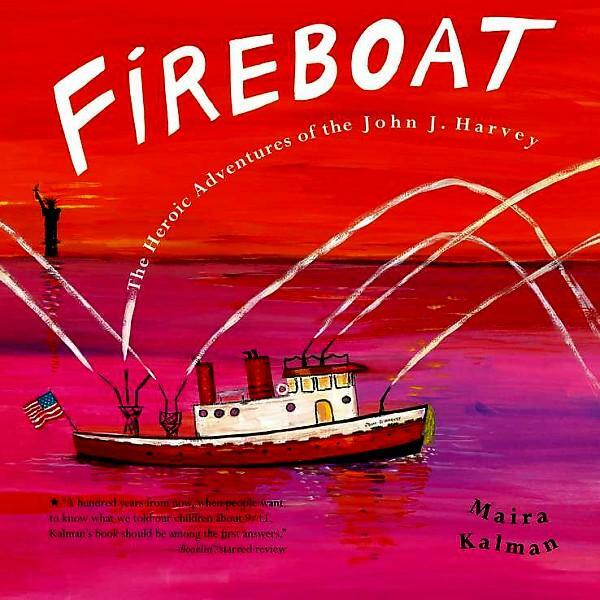 Then we read, Fireboat: The Heroic Adventures of the John J. Harvey by Maira Kalman. This book tells the story of how the retired and then restored John J. Harvey fireboat contributed toward fighting the fires at the World Trade Center. The third graders read The Man Who Walked Between the Towers by Mordicai Gerstein. 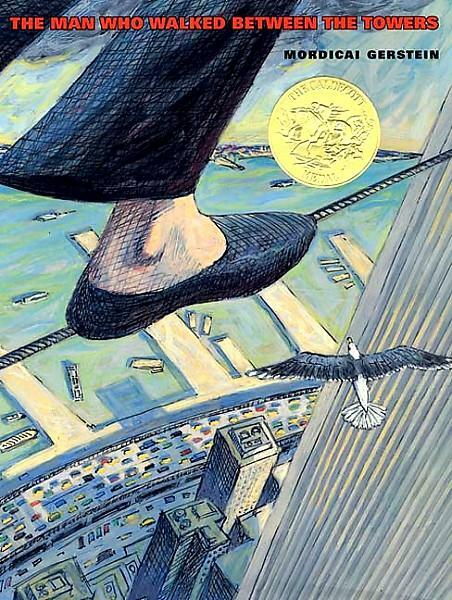 This Caldecott Medal winner is about the tightrope walker, Philippe Petit, who walked on a tight rope between the Twin Towers on August 7, 1974 before the towers were finished being built. For almost an hour, Petit walked, danced, ran and knelt upon the wire. At one point he even lay down to rest on it! This book does reference that the towers are gone at the end, but the main emphasis of the story is on the performance Petit gave in 1974. 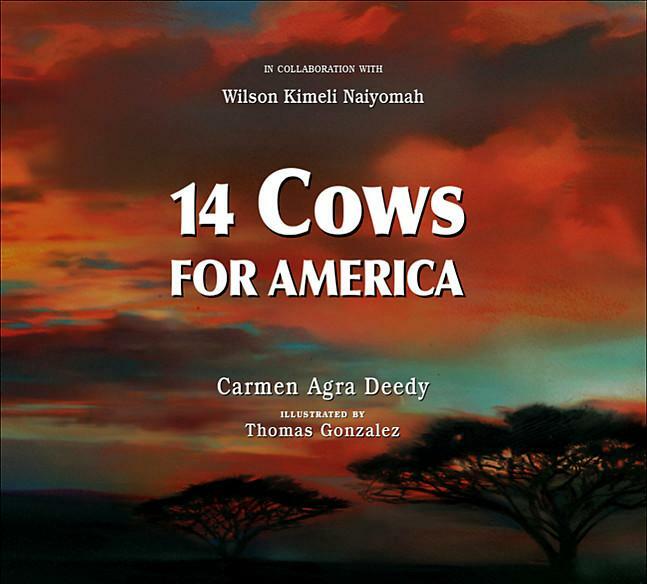 14 Cows for America presents an illustrated tale of a gift of fourteen cows given by the Maasai people of Kenya to the U.S. as a gesture of comfort and friendship in the wake of the attacks of September 11, 2001. 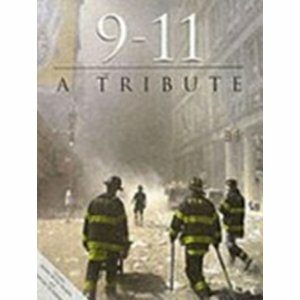 The 9-11 Tribute book tells the story of the attack on the Twin towers primarily through photographs and captions. What did you learn about 9/11 in class? what did you learn about 9/11 at your school? Using your research skills, and using the photo clues, can you figure out where Reese is? Before you venture onto the internet, make sure you have permission from your teacher, or an adult family member! It’s always important to follow online safety rules! Here is photo # 1 of Reese. What did you figure out from looking at this photo? Can you do a search yet? Probably not. There aren’t many clues for you to search. If you did a search of dog + beach, you would get millions of hits! Does this photo of a shell help you? Maybe! Maybe not! Do you know what kind of shell it is? Do you know where you can find these shells in the world? Wow – I wonder what that is! Do you know? It’s often found washed up on beaches! I think this photo will give you lots of information to use in your search! 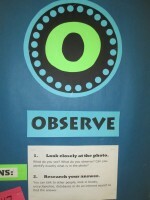 Use your observation skills to narrow down your search. I think using the information from the photos, and the information you can find on the Bulldog Readers “About Us” page, you could really narrow down your search. The next part is easy! Do the research and leave us a comment with the answers to these questions! What is the name of the beach Reese is standing on? Where is it located? Why did I include a photo of a shell? What kind of shell is it? What is that strange looking thing in photo #3? Where do you find that? Why did I include it as a clue??? Leave us a comment with your search results!